Star Wars Battlefront trailer shows off the Battle of Jakku! EA and DICE have revealed a new Star Wars Battlefront trailer, this time teasing the bloody Battle of Jakku, a free piece of DLC for the game and a setup for the upcoming Star Wars: The Force Awakens. Fans that pre-order the title will be given access to the Battle of Jakku on December 1 while every player will get the additional content on December 8. Check out the trailer in the player below! 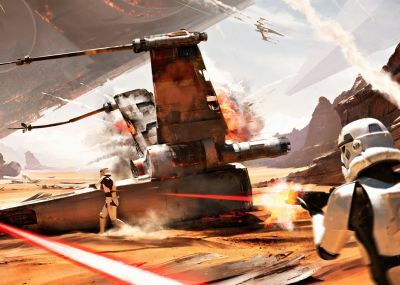 Star Wars Battlefront will allow fans to live out a wide range of heroic moments and intense battle fantasies of their own – firing blasters, riding speeder bikes and snow speeders, commanding AT-ATs and piloting TIE fighters and the Millennium Falcon. These battles will take place on some of the most iconic planets in the Star Wars universe, including Endor, Hoth, Tatooine and the previously unexplored planet, Sullust. Gamers will be able to play as some of the most memorable characters in the original trilogy such as Darth Vader and Boba Fett. Star Wars Battlefront will feature a wide range of modes tailored for different types of battles, from larger 40-person competitive multiplayer to crafted missions that are played solo, with a friend via split-screen offline or co-operatively online. Fans who pre-order Star Wars Battlefront will be among the first players to experience the Battle of Jakku, the pivotal moment when the New Republic confronted key Imperial holdouts on a remote desert planet on the Outer Rim. Taking place in the aftermath of the Rebel victory in the Battle of Endor, players will experience the events that created the massive, battle-scarred landscape of Jakku shown in Star Wars: The Force Awakens. Players who pre-order Star Wars Battlefront can fight the battle one-week early starting on December 1, 2015. All other players will get access to this free content on December 8, 2015. 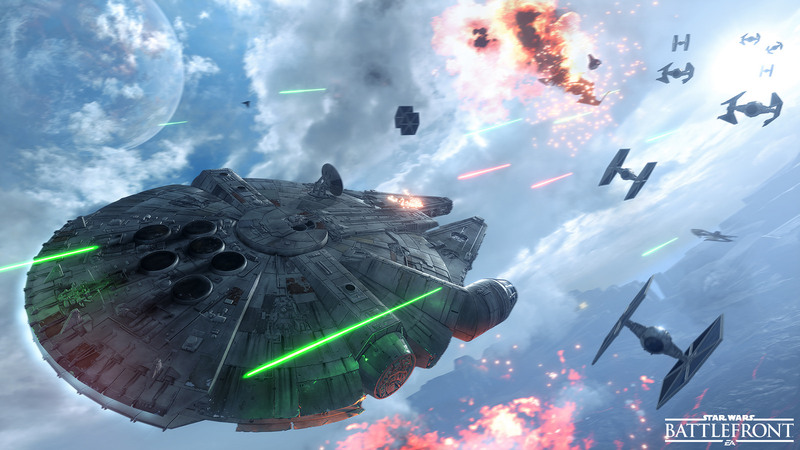 Star Wars Battlefront will be available for the PlayStation 4, Xbox One and PC on November 17. You can pre-order your copy here.